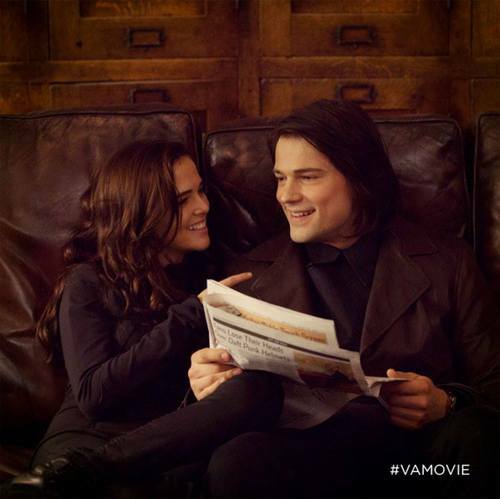 Stop pretending to read and just make-out already.. . Wallpaper and background images in the The Vampire Academy Blood Sisters club tagged: vampire academy rose hathaway dimitri belikov. This The Vampire Academy Blood Sisters photo contains periódico, papel, revista, tabloide, and trapo. There might also be signo, cartel, texto, pizarra, and letrero. How cute!! I love this still...I wonder if it's BTS or from the movie? Love the caption too.